The winners of this year's Pulitzer Prizes have been announced. The Prizes, named after 19th century newspaper publisher Joseph Pulitzer, honour excellence in journalism and the arts, and are awarded annually. Congratulations to all of the winners! For more details on the Pulitzers, see the official website. The nominees for the 2019 Manitoba Book Awards have been revealed! These awards are divided into eleven categories that recognize excellence in Manitoba writing, book design, and publishing. The winners will be announced and celebrated at 7 PM on May 3, 2019, at a gala in their honour. This celebration takes place at the Winnipeg Art Gallery, and tickets are on sale now for $20 per person. For more information, please visit the Manitoba Book Awards website. The lists of nomineese can be found after the jump. Ziya Tong, who championed Max Eisen's Holocaust memoir By Chance Alone, is the winner of Canada Reads 2019. Published in 2016, By Chance Alone recounts Eisen's own traumatic memories of his family's imprisonment in the Auschwitz concentration camp during the Second World War. Tong, a science journalist and herself an author, passionately defended By Chance Alone during four days of vigorous literary debates, proving to us all why the memoir is "the one book that will move all Canadians". 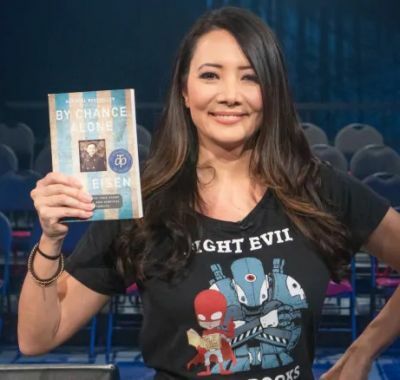 She was ultimately decided as winner by the panellists during the final debate on March 28, 2019, thus beating out runner-up Chuck Comeau who was defending Homes, the memoir of Abu Bakr al Rabeeah written with Winnie Yeung. The other three books that were part of Canada Reads 2019 included David Chariandy's Brother, defended by Lisa Ray; by Anaïs Barbeau-Lavalette's Suzanne, defended by Yanic Truesdale; and Lindsay Wong's The Woo Woo, defended by Joe Zee. The debates were hosted by Ali Hassan. To read more about Canada Reads, and to stream the debates online, visit CBC's website. 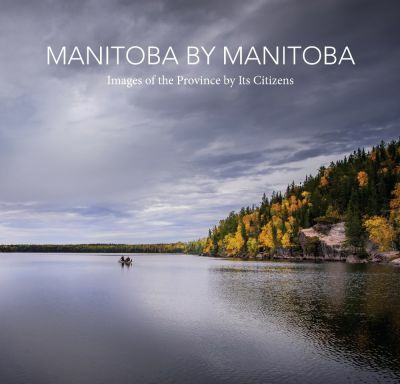 Our new photo book, Manitoba by Manitoba, will be launched at our Grant Park store on Thursday March 14 at 7:00 pm in the Atrium. We look forward to seeing you there.